Justin Timberlake is gearing up for the release of his fifth solo studio album, 'Man of the Woods'. The 36-year-old took to social media on Tuesday to share a video teaser for his new project, which is due for release on February 2. "This album is really inspired by my son, my wife, my family. But more so than any other album I've ever written, where I'm from, and it's personal," he says in the video. Justin also revealed that he will be dropping a new song from the album on Friday, January 5. It's been more than four years since the former *NSYNC group member released a solo album. 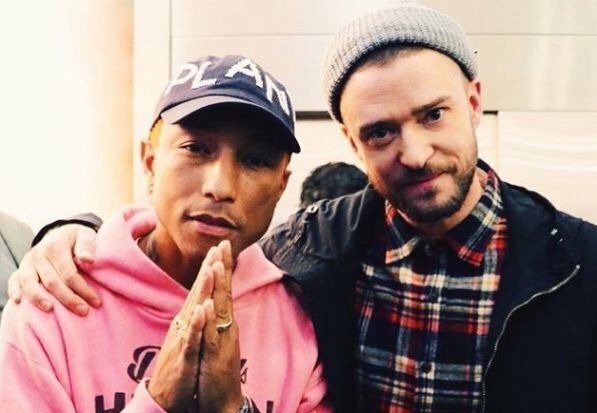 His new teaser shows that he will once again work with music producer, Pharrell Williams. The last time the pair worked on a JT album together was in 2002, when Pharrell produced Justin's debut solo album. "It feels so earthy. It's just where you are in your life right now," Pharrell says in a clip of him and Justin working in studio. Take a look at the teaser for JT's new album below.